As the CEO of Sarepta Therapeutics, Chris Garabedian went from biotech hero to industry villain in just a few years, taking the company's Duchenne muscular dystrophy drug from obscurity to the edge of approval, garnering the ire of regulators and investors in the process. After abruptly resigning two years ago amid clashes with his board and the Food and Drug Administration, Garabedian is attempting a comeback. He is beginning with a strong partner and $25 million in funding. And he says he regrets little. "When I left Sarepta, it was an opportunity to take time to figure out what is it I want now. I've got a lot of skills. I worked at Gilead, Celgene, as the CEO of a public company during a turnaround; so I didn't want to make a quick decision," Garabedian told BioPharma Dive, in interviews, including at the BIO International convention in Boston. He got interest from venture firms looking to put a big name CEO, or "gun for hire," in place at a small biotech looking to make a name for itself. He said that wasn't for him. "I didn't like the idea of walking into something that already had all those designs in place, number one. Number two, there was nothing that I felt was like 'Oh this is such a cool technology that it's going to transform medicine.' And I wanted to make sure that I was going to be working with people that I could really enjoy and trust, and that I felt it was a good fit," he said. Garabedian's tenure at Sarepta, from 2011 to 2015, was a bit of a public rollercoaster ride. Part of that was due to the nature of DMD, a rare disease that affects mostly young boys, with a vocal advocacy group of dedicated parents. Most families were desperate for treatments that could slow the disease, and while no disease modifying drugs were available, some low-cost drugs were used off-label that helped with symptoms. At the time, Sarepta's drug, now sold as Exondys 51 (eteplirsen), was one of a handful in the pipeline seeking to change DMD treatment. Under Garabedian's oversight, the biotech steered the drug through clinical trials and became a Wall Street darling in the process, taking the stock from under a $1 a share to nearly $50 apiece. "I don't have many regrets in terms of how I conducted myself as CEO." Yet, this happened against the backdrop of increased investor and advocacy group unrest as approval hit delays. Garabedian's aggressive style became a focus of a tense FDA relationship and ultimately, both investors and patient advocates blamed the CEO's brash ways for eteplirsen's long regulatory road. Reports of infighting at the board level resulted in several management shakeups, and culminated in Garabedian's late-night, unexpected departure from the company. In talks with BioPharma Dive, Garabedian tried to downplay the turmoil, but he was clearly unsettled by how things played out. "Well, I think part of it was — and this is not unique to me or Sarepta — it's just that we had a more visible story ... I became embroiled in board and management politics and the public story was often used to justify certain actions, et cetera," he said. Still, he is not making any apologies. "I don't have many regrets in terms of how I conducted myself as CEO or how I made choices around the strategy and the programs, and in fact, they're still largely using the playbook of what I laid out years ago. So I don't think I would do anything differently strategically. I think I probably underappreciated and underestimated how people like a narrative and they like a story and how often times the media fills in the blanks of what they don't know," he said. Fast forward to mid-2016 when Garabedian, after a couple of years out of the public eye, started Xontogeny. It's not a biotech, but rather a consultancy that is a bit of a mix between a venture capital firm and an incubator — although Garabedian prefers the term accelerator. He said his inspiration came from several calls from entrepreneurs seeking his expertise in trying to start their own companies. "And so then I realized that what they were all looking for was something that they couldn't get from the VCs, which is a modest size investment round," he added, pointing to the VC-backed biotechs that have been bringing in rounds of upwards of $50 and $100 million. "The industry has ignored that important drug development choice piece or what I call design. And I think that's what we should be obsessed about." "If you're looking for $5 million or $8 million or $10 million — what I describe as the middle market — that has pretty much disappeared because of the success of the funds, and they're getting bigger and bigger. So, a half a billion dollar fund is not going to make a hundred, $5 million dollar investments, they're going to make ten, $50 million investments." Garabedian quickly realized he couldn't effectively manage a portfolio of these companies on his own as an executive chairman. So in 2017, he teamed up with investment firm Perceptive Advisors. Garabedian said he's excited to work with them because they are "very un-VC-like." "I went to them and they said, 'Don't go to anybody else. We love it, we've always wanted to expand into earlier stage companies.' I said 'Look, I think I need $25 million to get through the next five to six years, to orchestrate a couple exits that we can pour back into Xontogeny and not dilute further.' "
And so they did. 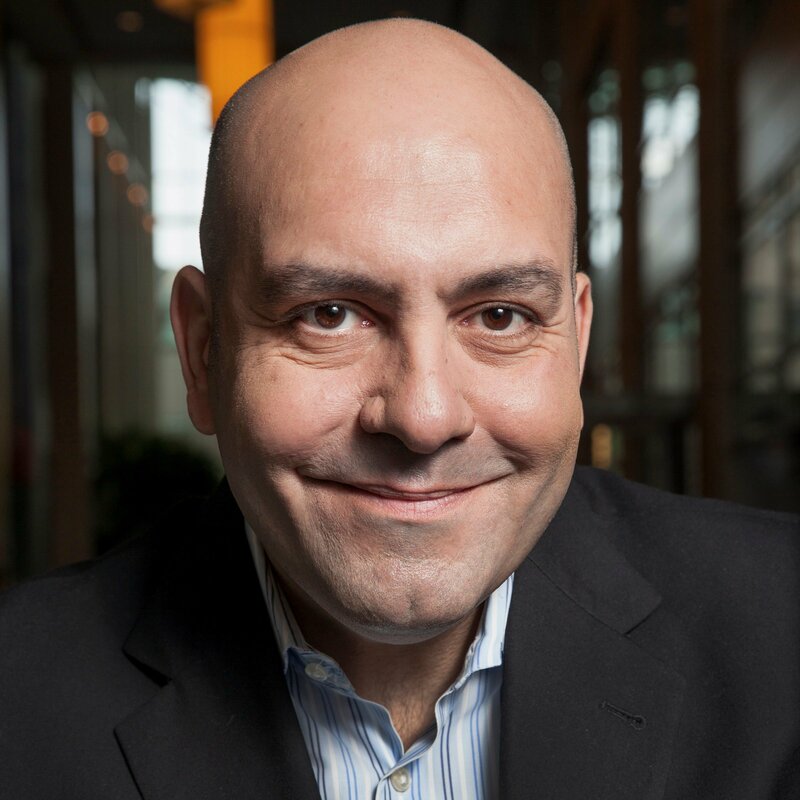 Perceptive is investing $25 million in Xontogeny, which will function as the early-stage venture arm of the firm with Garabedian and his partner Fred Callori as portfolio managers. The goal is to have a portfolio of eight to ten companies that they will help carry from early development to proof-of-concept data. Currently, Xontogeny has four companies under its umbrella, but only one, Landos BioPharma, has been publicly revealed. The biotech is focused on autoimmune diseases with its first compound under investigation for the treatment of inflammatory bowel disease. Garabedian says Xontogeny will step away after positive Phase 2b data is in hand — either handing off to a VC that likes to cover late-stage venture rounds, an IPO or, ideally, selling the company to a big pharma. Ultimately, Garabedian feels he has a niche he can fill within the industry that is currently underserved. "I believe it is about the choices you make along the way. And from the first in vitro experiment, to the translational animal model, to designing your Phase 1/2 strategy, to the regulatory strategy ... there are probably a thousand choices that you make," said Garabedian. "In my experience, and as a student of the industry, there's been almost zero correlation between the elegance of the science and success as a biotech. The industry has ignored that important drug development choice piece, or what I call design — the design of the program, the design of every study that goes into a program. And I think that's what we should be obsessed about."